This weekend the Notting Hill carnival, the largest outdoor street party in Europe, took place. Unfortunately summer in the UK appears to have finished rather abruptly, it poured with rain, so you are more likely to want a hot drink than a tropical rum punch. 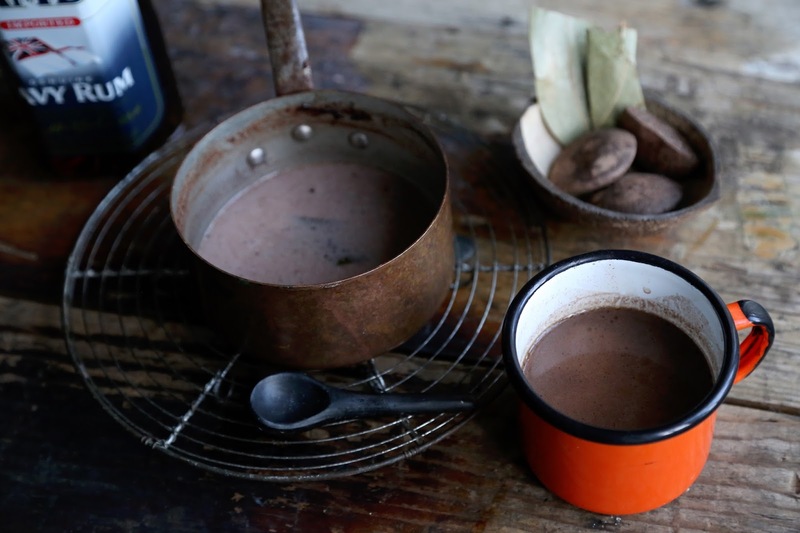 To that end here is a Caribbean recipe for- not hot chocolate but chocolate ‘tea’ which is made with water rather than milk. 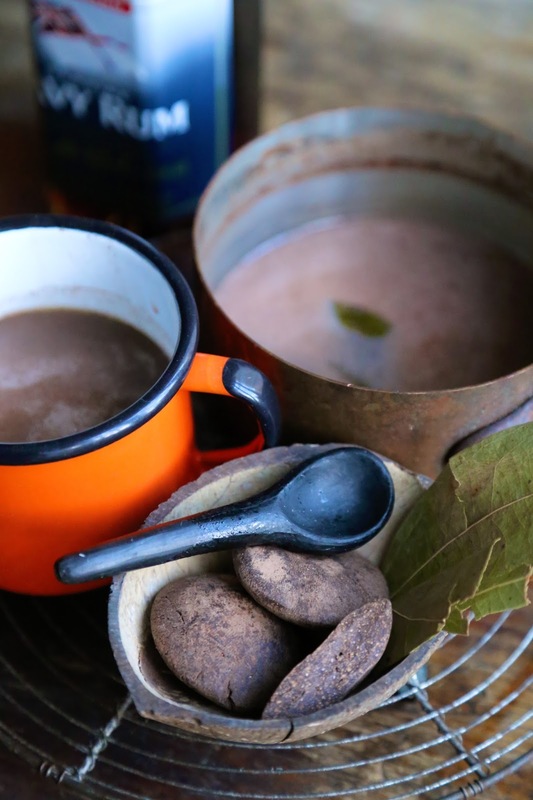 You can buy the authentic ingredients, cinnamon leaves, chocolate pastilles, a little overproofed rum, at Caribbean shops. Follow the link to House and Garden for the recipe which appears in MsMarmitelover’s Secret Tea Party. I have a whole chapter on drinks in the book, from teapot cocktails, to Georgian punch, to all the different kinds of tea. I’m one of the judges for the Great British Spiced Chocolate Challenge. The competition is open to amateurs and professionals and one of the prizes is a trip to Grenada! You can buy the chocolate tea kit here. That sounds right up my alley, hot choc with milk is usually too heavy for my liking. What are the cinnamon leaves like? Are they worth seeking out as opposed to using bark? You can buy them at Blue Mountain Peak online. I'm going to put the link above. They are possibly a little subtler than the bark.